Brand new one, two and three bedroom houses and flats available for shared ownership! Property for sale in Tunbridge Wells: At Moat we are proud to present a desirable selection of new houses and apartments at affordable prices. Royal Wells Park, located in Tunbridge Wells, offers a new collection of one and two bedroom apartments for sale. These flats for sale in tunbridge wells are all available to buy on a shared ownership basis, making home ownership a realistic option for all. 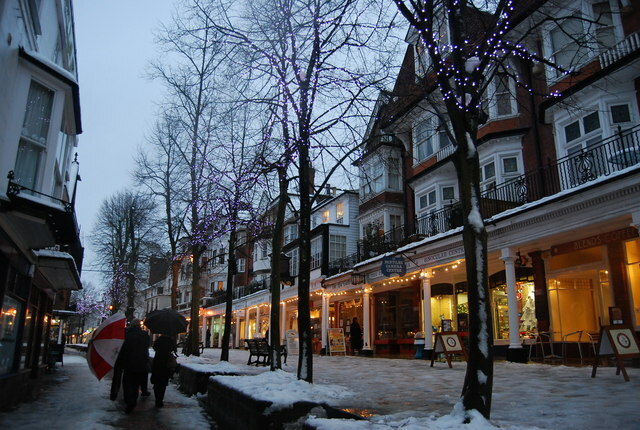 Tunbridge Wells is an attractive and affluent town, with plenty of green spaces and a vibrant atmosphere. It boasts stylish boutiques, art galleries, theatres and numerous bars, cafes and restaurants. It also offers a selection of outlets and shopping centres, including Royal Victoria Place and Hoopers. It’s an ideal town to own find your first property and enjoy your very own house or apartment. Tunbridge Wells also provides plenty of outdoor opportunities, with routes for horse riding, cycling and walking, as well as clubs for cricket, tennis and golf. It additionally houses a number of spas and health clubs, including the popular Champneys City Spa. Houses for sale in Tunbridge Wells are ideal for commuters, it provides regular train services into the city, taking just 45 minutes to reach London Bridge. Shared ownership is currently one of the most affordable home ownership options and gives many people, often first-time buyers, a chance to get on the property ladder. Moat Homes has a variety of properties available through shared ownership in Kent, these range from apartments to three bedroom homes. Find your dream home today. Known as part buy, part rent, shared ownership is an ideal way for first time buyers to get a foot on the property ladder. With this government backed scheme, you own a share in your new home, while Moat own the other share. Monthly morgage payments go toward paying off the property share owned by you, and the remainder will go to towards subsidised rent payments to Moat. You have the option at any time to buy more of the overall share until you own the property outright. Shared ownership is not only an affordable housing option, it allows you to to move to a place you actually want to live in, as opposed to one you can only afford. You purchase a percentage of the property, usually between 25% and 75%, which is affordable to you. Over time you can buy more of your home, through a process known as "staircasing", meaning that one day you will own the property outright. The key benefit, and one that is particularly helpful for first time buyers, is that a much smaller deposit is required, making it a lot easier to get on the property ladder. Shared ownership houses for sale are a great option for anyone who is unable to afford a desposit or monthly repayments on a full mortgage. Houses and apartments often have their own eligibility critera, which may include household income, current address, work location etc. The main stipulation is that you currently cannot own your own property. There are also the usual costs involved when buyingn a new home, we would usually recommend having around £4000 for these costs.